HOW OFTEN SHOULD YOU USE PROFESSIONAL PEST CONTROL SERVICES? When it comes to pest control, prevention is everything. The professionals recommend that you don't wait until you have a problem. You want to make sure that you are preventing pests from ever entering your home by taking precautions both inside and outside. Pest prevention is not a one-time thing. It takes regular service in order to prevent pests. But how often should you seek out professional pest control service? Staying ahead of the pest-infestation game is the key to success. More issues develop when you procrastinate and delay service. The frequency of your pest control service is based on the quality of the services and how thorough they are. Hopper Termite & Pest provides affordable treatment plans and options, based on the needs of your specific property and home. For termites, a normal schedule would involve an initial inspection and treatment followed by an annual inspection. Another form of termite treatment is the use of bait stations, which require maintenance and monitoring year round. These stations are strategically placed around your property. Rather than the termite colonies infesting your property, they "take the bait" and bring them back to their colonies - instead of living in and damaging your home. There are three areas Hopper Termite & Pest recommend to be inspected and treated in order to cure and/or prevent pest problems. 1. Outside Perimeter Pest Control - Pest control doesn't start at your property. It starts around your property. That's why we have someone examine and control pests on your entire property, including your front yard and backyard, to see which pests need to be eliminated and which are simply a part of the ecosystem. 2. Home Perimeter - Of course, prevention also requires protection at your home. We explore the outside of your home and seal/caulk all open areas so that pests are unable to enter your home or invade. 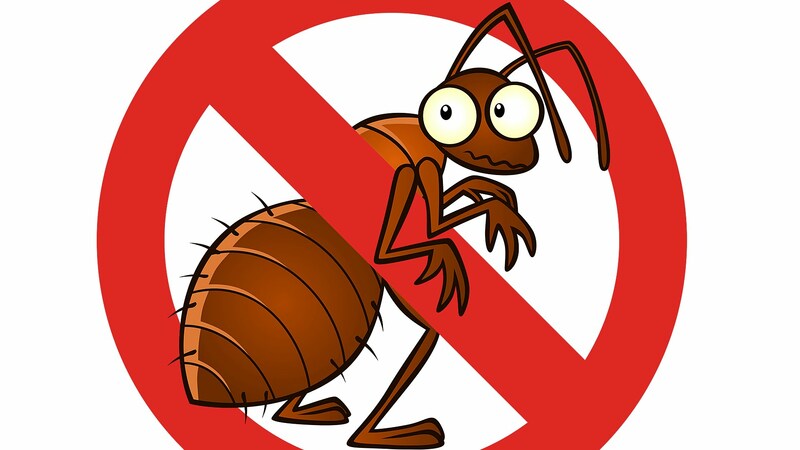 Exclusion is the best way to keep pests away, and when combined with the latest pest control technology, any pest that tries to enter will be denied. 3. Inside Your Home - Finally, we apply any additional baits or protection necessary on the inside of your home. We use as few chemicals as possible, and take special care to only apply pest control techniques that will be effective at eliminating any pests that somehow find their way inside. As we move through the months of the year, different pests can raise their ugly heads! If you've ever been the victim of a rodent or flea invasions, you know exactly what we're talking about! Warmer areas are going to have more of a pest concern than colder ones, and this is even more of a concern if you live near a water source such as a river or lake. With years of experience, Hopper Termite & Pest know WHAT to look for, WHERE to look, and WHEN to look. BUT just as important, we know HOW to treat and prevent pest infestation. We know how to treat your home according to the season, and will adjust the plan accordingly. We also offer affordable plan options, making it easier on your budget! Premier Pest Management Plan - Year-round protection from ants, roaches, spiders, crickets, silverfish, scorpions, stored product pests, mice and rats. Scheduled quarterly service. No charge for necessary extra service to control included pests. Fleas can be included for an additional cost. Exterior Only Pest Management Plan - Like our Premier Plan above, but regular service is performed on the exterior, only. This service is perfect for those who are not home during the day, but want protection from unwanted pests. Covered pests are ants, oriental/wood roaches, spiders, crickets, scorpions, mice and rats. When it comes to pest control, springtime is one of the most important times of the year to get a jump on emerging bugs and insects. With warmer temps around the corner, you can turn the spring fling the pests want to have - into a spring fail. With the professionals at Hopper Termite and Pest, you have the solution needed to rain on their party. Here are a few spaces that will need attention. Many spring pests like cockroaches and silverfish are attracted to moisture, so they are commonly found in bathrooms. Eliminating sources of water in the bathroom is the best way to prevent pest infestations, especially because this pest can only survive for one week without water. In addition to washing the shower curtain and liner, and cleaning out the medicine cabinet, you will also want to check under the sink and around the tub and toilet to ensure there are no moisture issues from leaky pipes or faucets. Rodents, spiders and many other pests can make themselves at home in the basement. The main reason that pests often take up refuge in this underground space is because this room tends to harbor dark corners and clutter, which provides the ideal place for rodents and spiders to hide. Take some time to go through your valuables and eliminate clutter where possible. Steer clear from using cardboard boxes to store items, using plastic bins with secure lids instead. You should also be sure to seal any cracks or crevices with a silicone-based caulk that pests could use to enter your home. Remember, mice can fit through an opening the size of a dime and other small insects need only a paper-thin crack to gain entry. Once you complete your list of inside tasks, inspect your home’s perimeter, taking stock of any damage done over the winter months. Start on the roof by repairing fascia and rotted roof shingles, as some insects are drawn to deteriorating wood. Then, clean out clogged gutters and downspouts to ensure they are properly functioning before the April showers roll in. You may also find you need to repair ripped screens, replace weather-stripping and repair loose mortar around the foundation and windows. When landscaping, don’t forget to trim bushes and branches away from the home to prevent easy access for outdoor spring bugs to move indoors. Also, remove rotted tree stumps and keep mulch at least 15 inches away from the home’s foundation – both of which could be magnets for termites. With the arrival of warm weather, it brings with it a renewed energy to get ahead of the onslaught of bugs and insects, and to tackle home improvements. In order to maintain a healthy living environment for your family inside and out, and to deter pests from infesting your living space this spring, talk about the need for professional pest control. There is no better way to stop the spring fling than by calling Hopper Termite and Pest. We know how, where, and when to inspect. We have years of experience, giving us a distinct advantage when conquering and preventing any pest problem you may have. Serving northern Arkansas and southern Missouri, we understand that our customers are looking for dependable, effective solutions for their termite and pest problems. Our highly-trained technicians provide a range of services, from residential to commercial and industrial, small to large buildings, eliminating termites and other pests. Give us a call today!